“What’s happening to the Doncaster Property Market” is a question I am asked repeatedly. Well, would it be a surprise to hear that my own research suggests that there isn’t just one big Doncaster property market – but many small micro-property markets? ‘lower to middle’ Doncaster Property Market. The ‘lower’ and ‘lower to middle’ sectors of the Doncaster property market have been fuelled over the last few years by two sets of buyers. The first set, making up the clear majority of those buyers, are cash rich landlord investors who are throwing themselves into the Doncaster property market to take advantage of alluringly low prices and even lower interest rates. The other set of buyers in the ‘lower’ and ‘lower to middle’ Doncaster property market are the first-time buyers (FTB), although the FTB market is in a state of unparalleled deadlock as it’s been trampled into near-immobility and incapacity by the new 2014 stricter mortgage affordability regulations and also fewer mortgages with low deposits. …. and if one looks at the figures for Doncaster Metropolitan Borough Council area you can see the three different sectors (lower, lower/middle and middle) have performed quite differently. You can see that it is the ‘lower’ market that has performed the best. You might ask, what do all these different figures mean to homeowners and landlords alike? Quite a lot – so let me explain. The worst performing sector (with the lowest Percentage uplift) was the ‘middle’ housing market. Therefore, interestingly, if we applied the best percentage uplift figure (i.e. from the ‘lower’ market percentage uplift), to the ‘middle’ 1995 housing market figure, the 2017 figure of £138,850, would have been £142,536 instead – a bit of a difference you must agree? Now, I have specifically not mentioned the upper reaches of the Doncaster housing market for several reasons. Firstly, the lower or middle market is where most of the buy to let investment landlords buy their property and where the majority of property transactions take place. 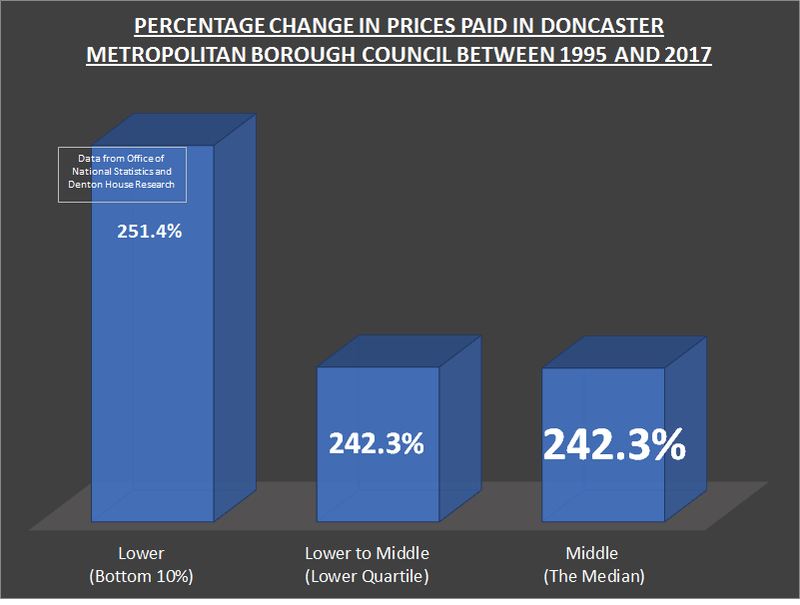 Secondly, due to the unique and distinctive nature of Doncaster’s up-market property scene (because every property is different and they don’t tend to sell as often as the lower to middle market), it is much more difficult to calculate what changes have occurred to property prices in that part of the Doncaster property market – looking at the stats for the up-market Doncaster property market from Land Registry, only 11 properties in Doncaster (and a 5 mile radius around it) have sold for £1,000,000 or more since 1997. So, what should every homeowner and buy to let landlord take from the information that there are many micro-property markets? 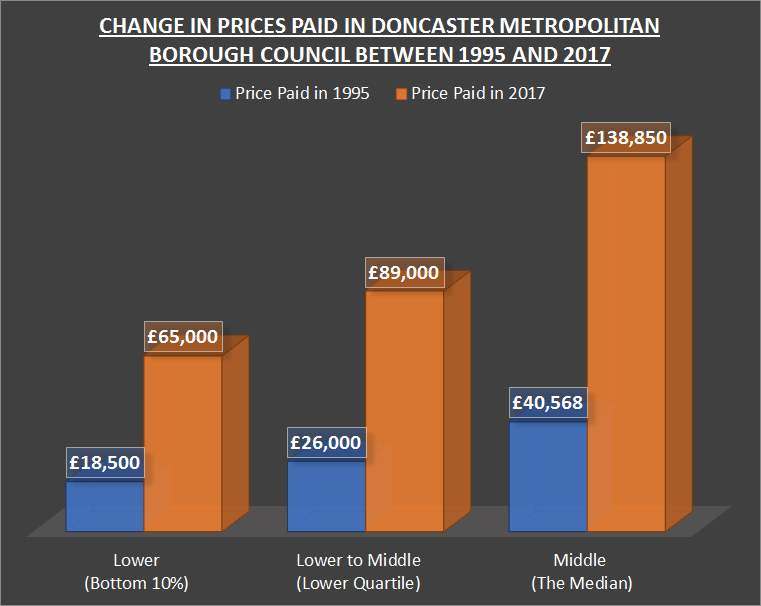 Well, when you realise there isn’t just one Doncaster Property Market, but many Doncaster “micro-property markets”, you can spot trends and bag yourself some potential bargains. 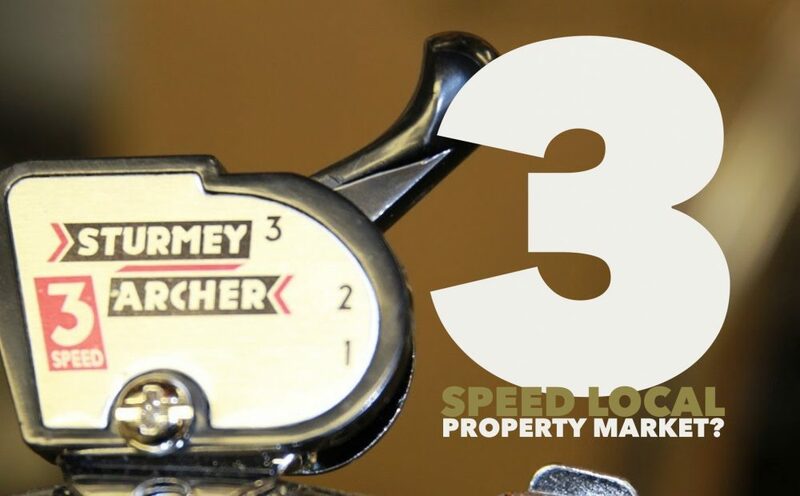 Even in this market, I have spotted a number of bargains over the last few months that I have shared in my Property Blog and to my landlord database, especially in the ‘lower’ and ‘lower/middle’ market. If you want to be kept informed of those buy to let bargains, have a look at my Blog .. it’s free to do so and I’m sure you wouldn’t want to miss out – would you? I would love to know if you have spotted any micro-property markets in Doncaster.